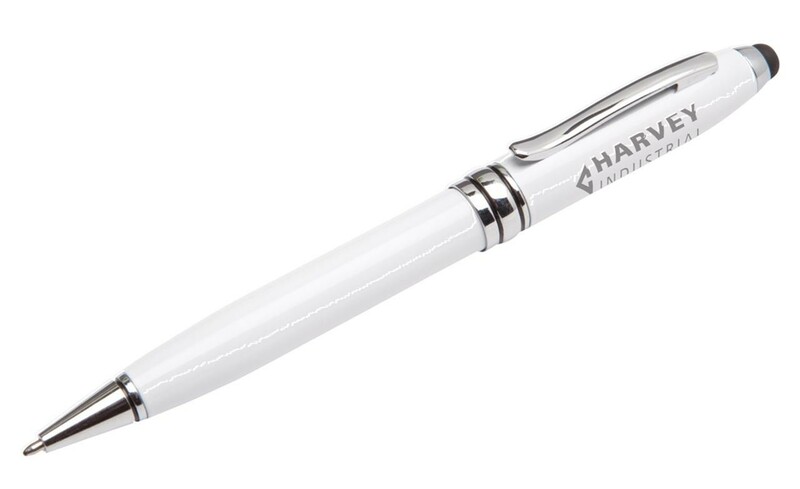 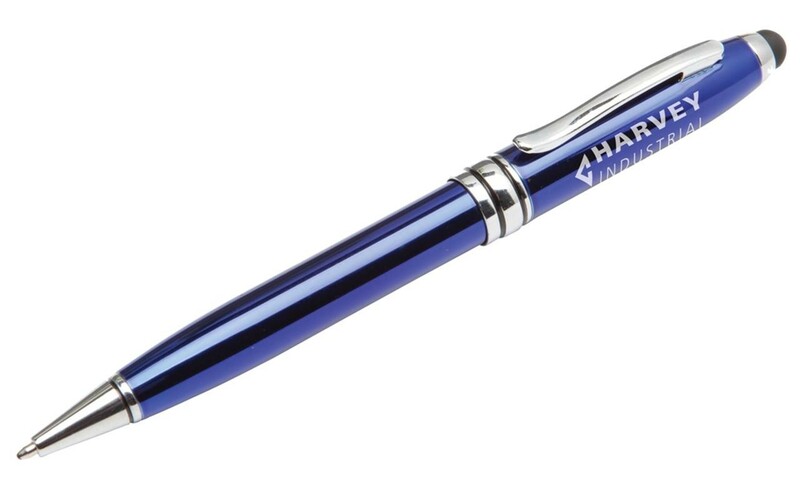 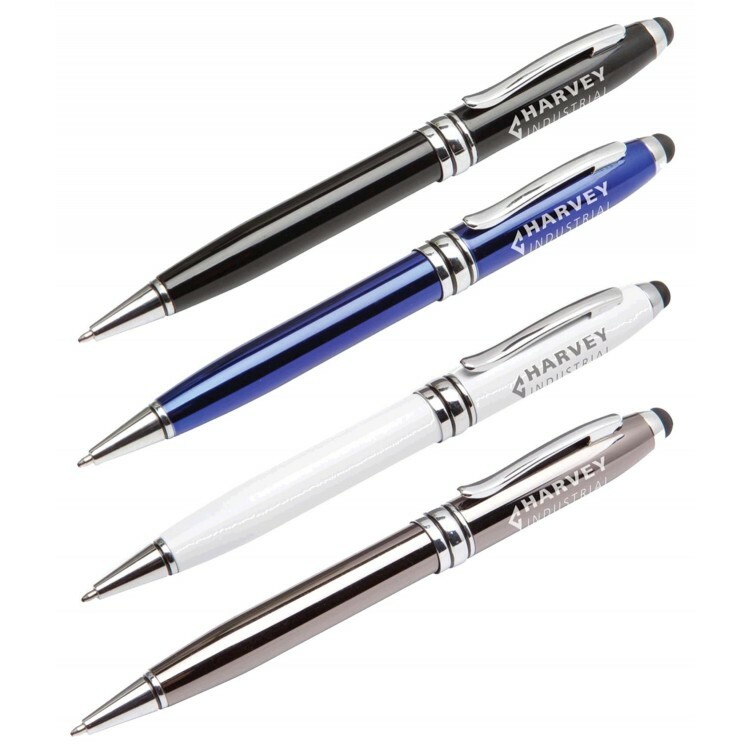 Executive Stylus is a perfectly weighted pen. 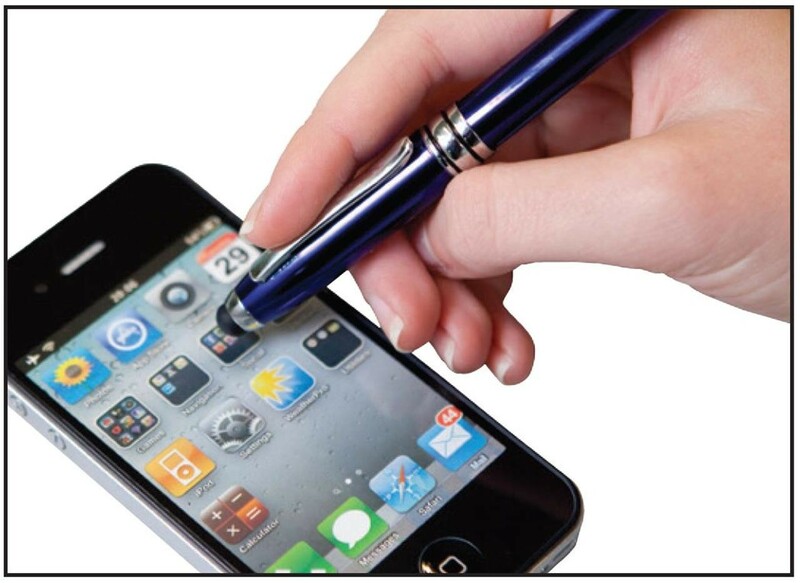 The classic shape is enhanced by the rubber stylus top which is ideal for an iPhone or tablet. 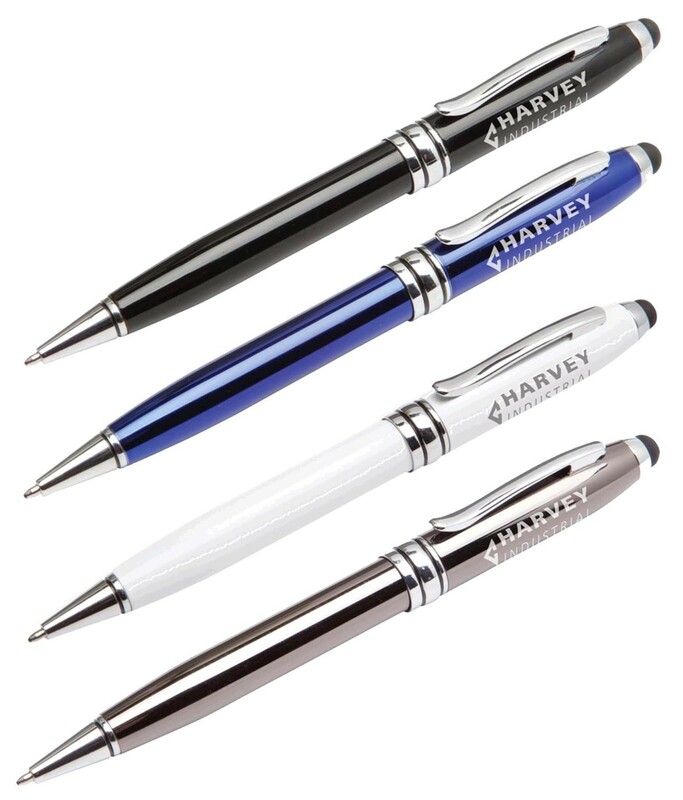 Available in black, blue, white or gun-metal all with chrome trim.